I have been asked about thoughts concerning the 2018 Southern Baptist Convention. It is always a dynamic time of fellowship, renewing friendships, and necessary business. We often focus on the elections, resolutions, and motions as the essence of the Convention. These elements are important but were greatly overshadowed by the events of Tuesday night. The International Mission Board presented a very encouraging update on the ministry of SBC missionaries on Tuesday evening. We heard powerful and beautiful testimonies of the impact of the Gospel around the world. We rejoice in the salvation of Christ throughout the nations to the glory of the Lord. We had the privilege of praying for opportunities among the 6,500 unreached people groups in our world. Then, we heard the call and testimony of 79 new SBC missionaries being commissioned on this night. The commitment and heart of these missionaries stirred those gathered throughout the Convention Center. The missionaries called from SBC churches were positioned around the room for prayer. Their families, church family, and the SBC family surrounded them and prayed. What a moment of Biblical obedience to the Great Commandment and the Great Commission! 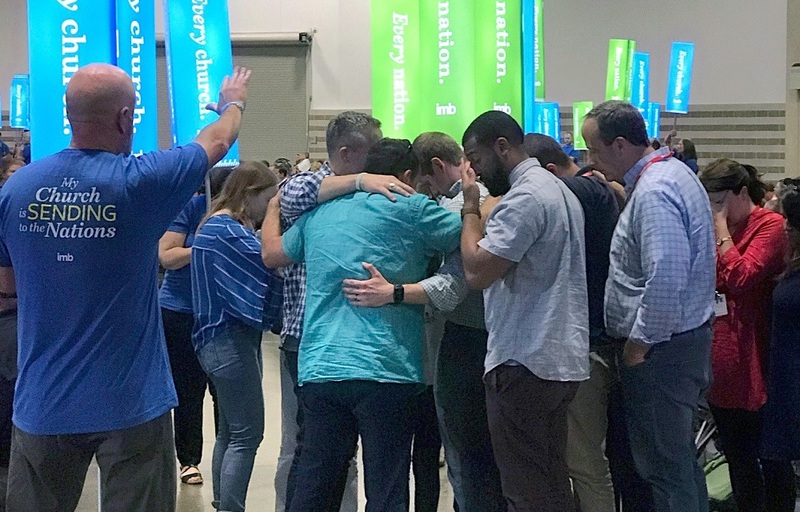 This moment defined the 2018 Southern Baptist Convention for me. We cooperate together for this sacred cause. The gifts from our churches support the furtherance of the Gospel through sending these servant missionaries. The Cooperative Program has value multiplied as every Southern Baptist Church is part of this experience. Karen and I wept as we prayed for the young couple in the area where we were located on this night. My heart rejoiced in the decision of Florida Baptists to send 51% of Cooperative Program gifts through the Southern Baptist Convention. I was also reminded of the decision concerning the sale of the previous Baptist Building in Jacksonville. Last year at the Convention, we presented a check of over 3 million dollars from the proceeds of the sale of this building to the Cooperative Program. These funds were part of the resources that support these 79 new missionaries who were commissioned this year. It is awesome that God can take something old and make it new! 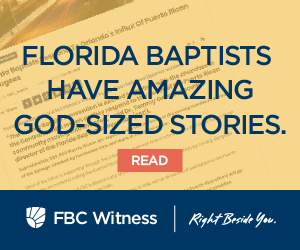 Thank you Florida Baptists! !